Back in August I found this old photo of the Gate House to Rock Creek Church Cemetery. Based on the other photos that were with it, I’m dating the photo to ca. 1915. 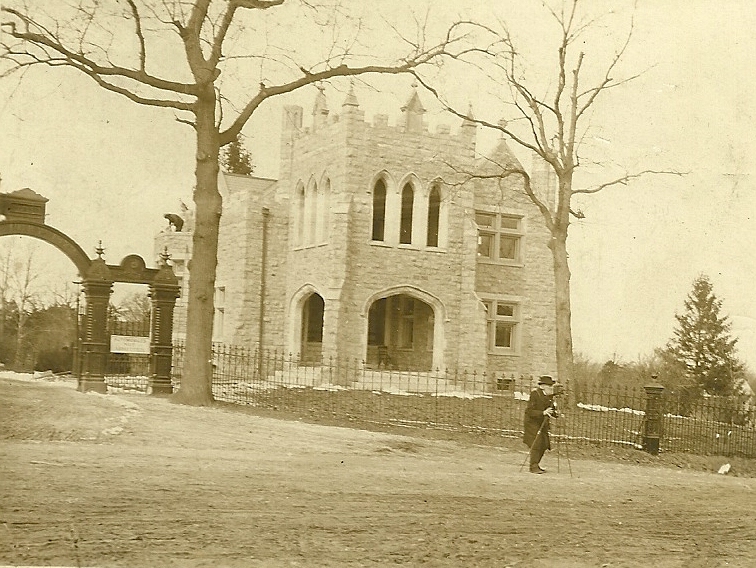 The gate house is still there and anyone familiar with the cemetery should recognize it. There are two things I like about this photo, though. The first is that it also includes a man standing in Rock Creek Church Road set up to take a photograph of the Soldiers’ Home Cemetery to the east. The other is that it shows that the entrance to the cemetery was once at Harewood Road. Today, the entrance has been moved to the west and is now at Rock Creek Church and Webster. This means that the gate house is no longer located right next to the gate. 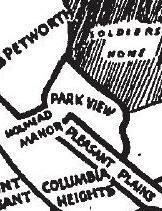 The map below is a detail from the 1919 edition of the Baist’s real estate atlas of surveys of Washington, on which I’ve included an arrow showing the direction from which the above photo was taken. 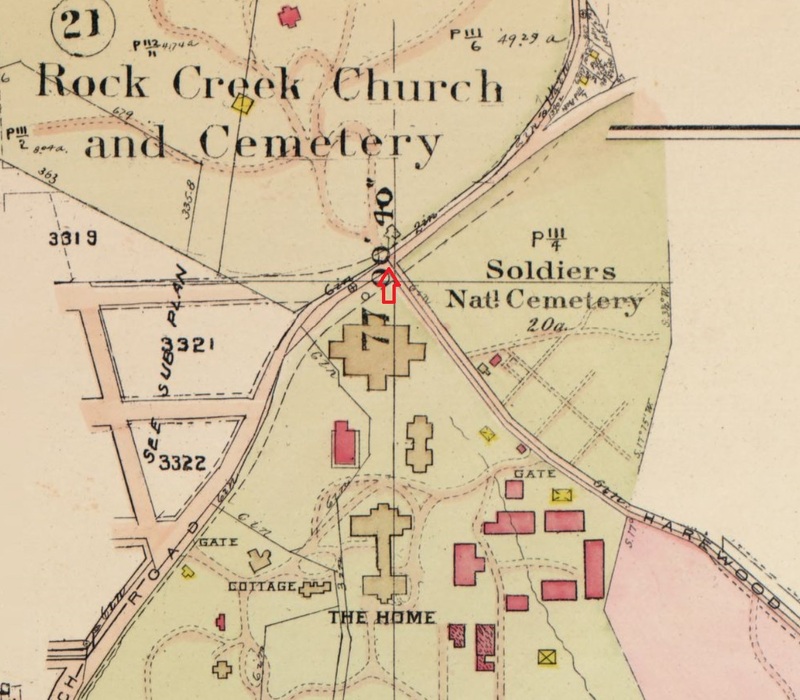 It also shows that Webster Street had not yet been constructed to connect with Rock Creek Church Road. I’m always on the look out for old items that have a link to the Georgia Avenue neighborhoods. 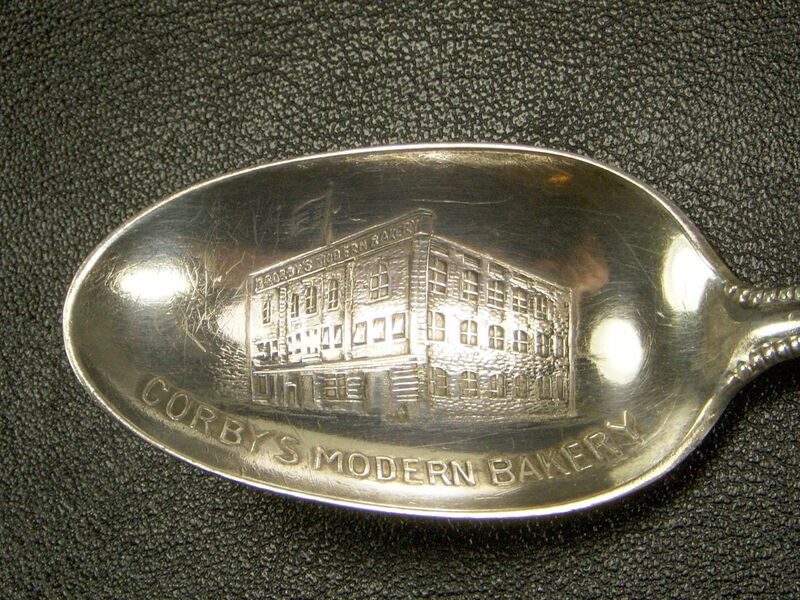 A while ago I found this advertising spoon from the early 1900s showing Corby Bakery. Below is a close up of the bowl, which has an elevation of the bakery. You can still see the original building at 2301 Georgia Avenue at the intersection at Barry Place. 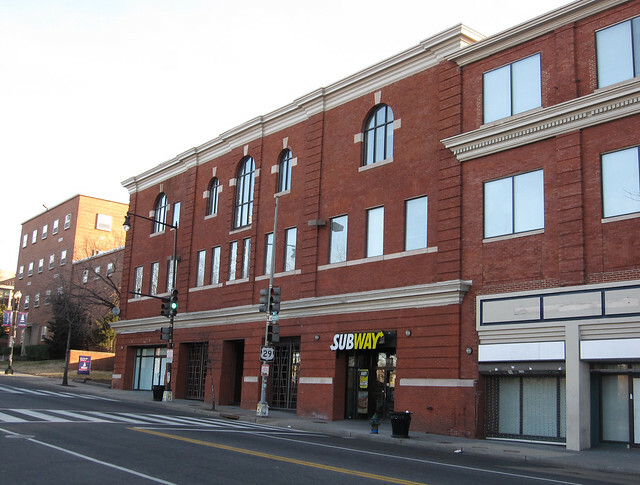 The application, HistoryQuest DC, is an interactive GIS map that provides historical data on approximately 127,000 extant buildings in Washington, D.C. 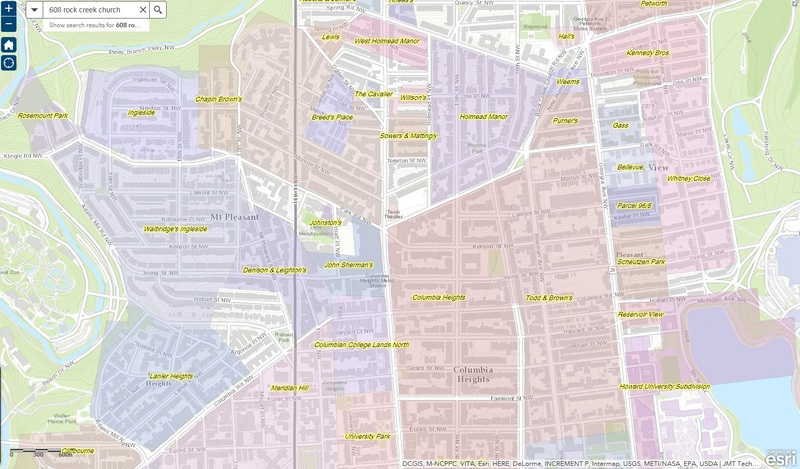 The map offers several operational layers of information for the user including historic data on individual buildings, links to documentation on properties listed in the National Register of Historic Places, information on historic residential subdivisions, and the identification and boundaries of the L’Enfant Plan, and the city’s Squares, and Wards. 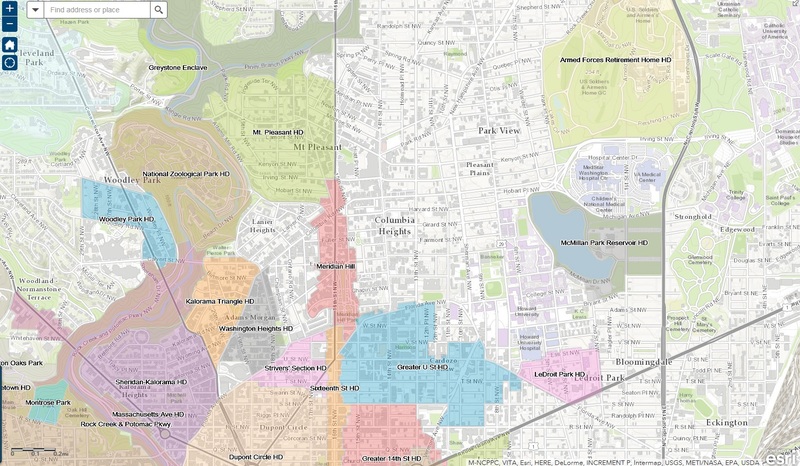 The featured layer in the map—the Historical Data on DC Buildings—provides information from a variety of sources on original dates of construction, architects, owners and builders of the city’s historic buildings. The application also includes a Query tool that allows the user to analyze the historic data within a specified geographic area or city-wide. 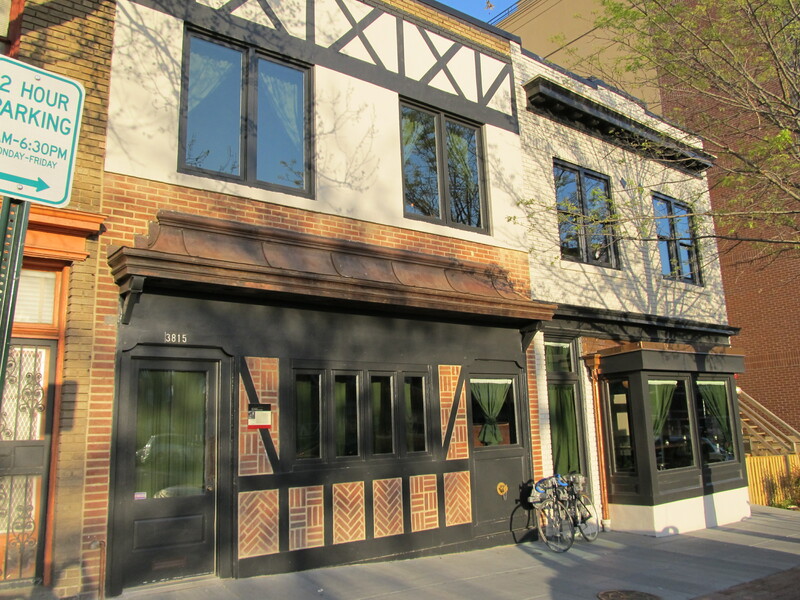 This application has evolved out of the DC Historical Building Permits Database project and is still a work-in-progress. Anyone with additional information or knowledge about specific buildings that will enhance, enrich, or correct the map, please use the “Propose Data Change” on the banner at the top of the map, complete and submit the GeoForm. By using the search box, anyone using the maps can quickly get to basic data on any property, including when a house was built and who the architect and builder were. The various layers also can generate some interesting maps. In addition to historic landmarks, the following maps show some examples of the maps that it generates. 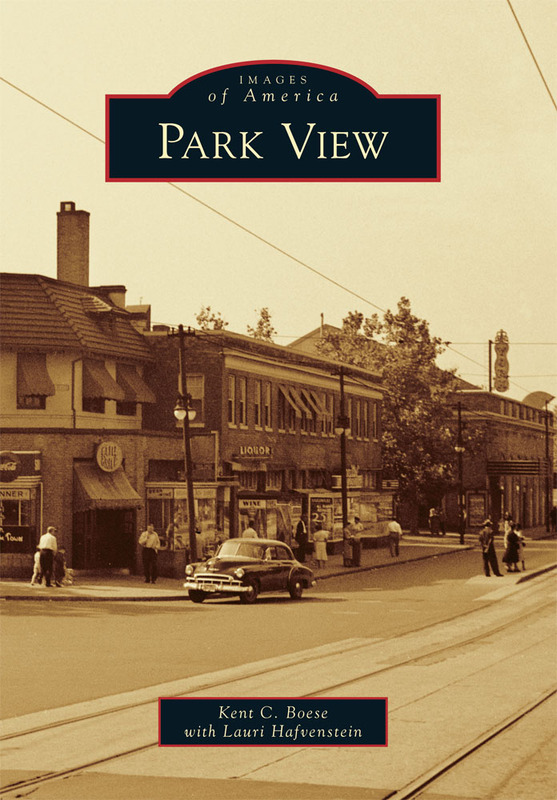 Here’s a connection to the neighborhood that I wasn’t aware of (though I’m sure many already do). 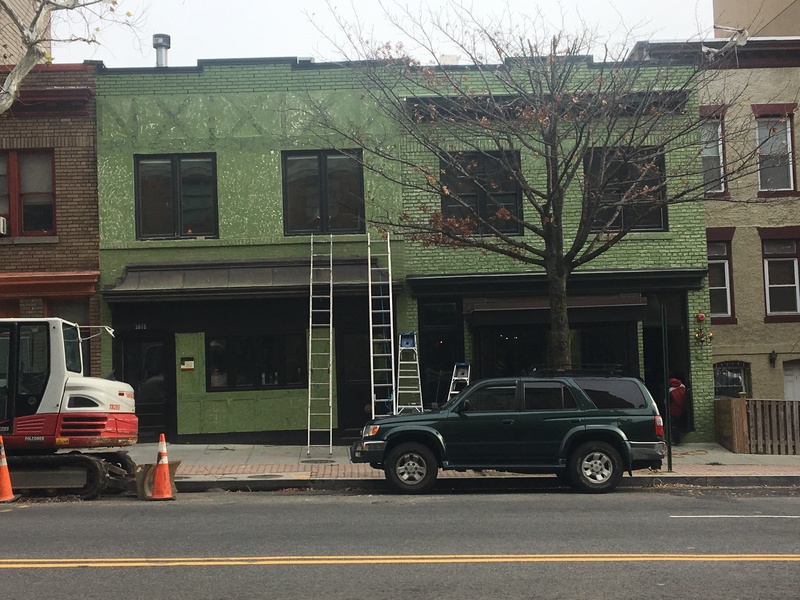 In reading up on the history of the Anderson House — located at 2118 Massachusetts Avenue in the Dupont Circle neighborhood — I read a reference to murals inside by H. Siddons Mowbray that drew my interest. Today, the house is the national headquarters of the Society of the Cincinatti, and according to their Website, the Mowbray murals in the Key Room and Winter Garden are his only works in Washington, D.C. I was particularly interested in the description of the two Mowbray murals in the Winter Garden, which are of Washington, D.C., and its surroundings. Between the two murals, they map Larz and Isabel Andersons’ favorite local driving routes and nearby landmarks — some of which include the National Zoo, Old Soldiers’ Home, Great Falls, Arlington House, and Mount Vernon. They were painted in 1909 so its a nice reference to car culture at the beginning of the 20th century. Its also an interesting representation of how much of D.C. was developed and where people would drive on outings at the time. I’ve not had a change to go to the Anderson House yet (which is open to the public for free), but was able to find a blog post online here that provides more information on the house as well the image below of the mural that shows driving routes up Georgia Avenue, along Rock Creek Church Road, and through the Soldiers’ Home. 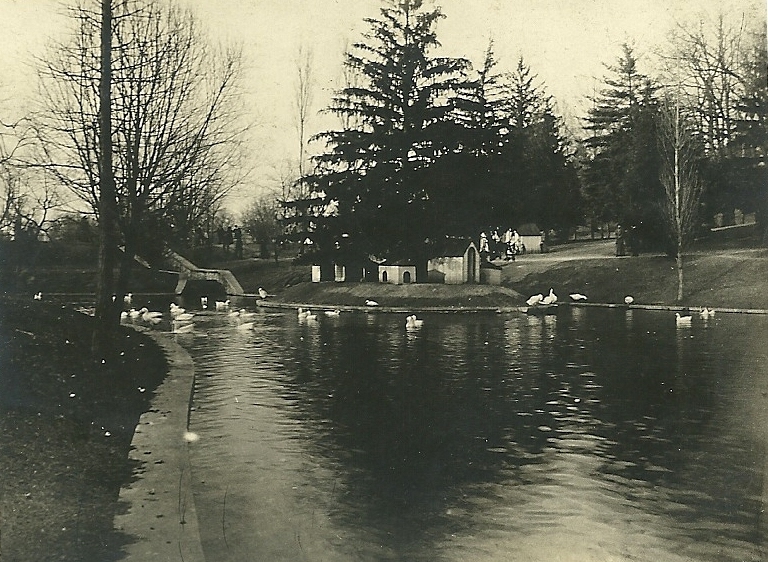 Recently I came across the following two photos of the lower Lake at the Soldier’ Home. The lakes are located just east of the no closed Park Road gate. 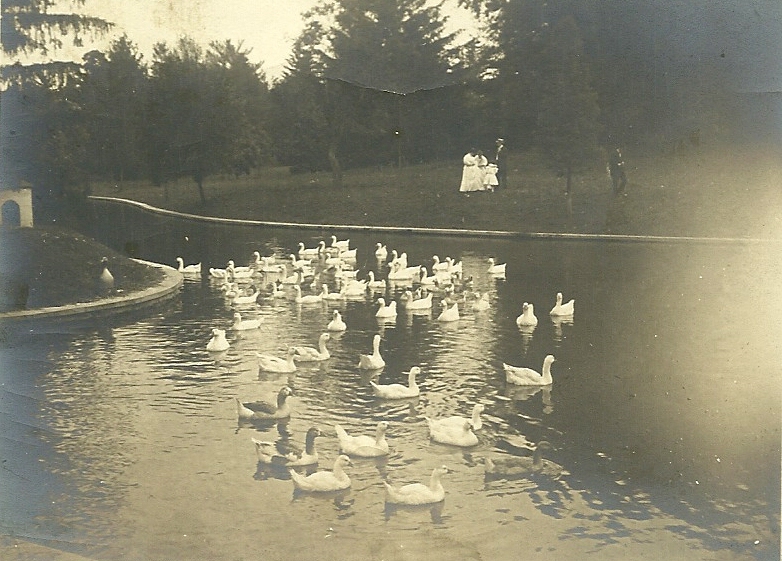 Judging from the other photos in the collection, I believe the images date to around 1913. I especially like the geese/ducks/swans on the water and the houses on the small island for them.